However, this would carry a potentially heavy cost, Url warned in an interview with EURACTIV. In the United States, a multi-generational study on Bisphenol A cost about $30 million, a figure that could be multiplied by a factor of 20 or more if EFSA was to commission regular studies on pesticides or food contaminants from independent research institutes, he said. One suggestion is that private companies bidding for safety clearance of new products could “pay into a pool” that goes out to funding independent research on food safety, Url told EURACTIV. Scientific data could also be shared more widely at international level and even crowdsourced, he suggested. Bernhard Url is Executive Director of the European Food Safety Authority (EFSA). He spoke to EURACTIV’s publisher and editor, Frédéric Simon. A shortened version of this interview is available here. As the old saying goes, “An apple a day keeps the doctor away.” But can you still say this, knowing the amount of pesticides that go into growing apples? Would it not be truer nowadays to say, “Don’t eat too many apples or you might get ill”? No, this saying is still true, and increasingly so. Not because the amount of pesticides in use is falling, but because there is a lot of evidence that in Europe, many deaths could be avoided by eating more fruits and vegetables. Our diets are very low in fruits and vegetables and very high in foods of animal origin, fats, salt and saturated fat. So changing our dietary habits to eat more fruits and vegetables would have a hugely positive impact on public health. The WHO even recommends eating at least five portions of fruits and vegetables per day to keep the doctor away. But when they buy their apples in the supermarket, a lot of consumers think they are buying a fresh product. What they often don’t realise is that there are a lot of chemicals – like Smartfresh for instance – which are used to keep the fruits looking fresh for many months. Isn’t that concealing essential information from the consumers? Shouldn’t they be made aware of this? For me there are two different aspects. One is the use of pesticides to grow foods of plant origin, to protect them from diseases, fungi and parasites. This is a food security issue. Can we produce enough food of plant origin in the future to feed nine or ten billion people? So this is something that is really needed for agricultural production. Of course it still has to be controlled and we can discuss the role of EFSA in this control. Then the other aspect, which some even call the cosmetics of food – using chemicals to make food look perfect – where we could really have a societal discussion. Is this needed? Is it something the consumers really want? It is not so much of a safety question because we only authorise products that do not cause harm, but we are entering a discussion about the acceptability of certain practices. Here we can say that maybe if consumers knew, they would make different choices. This is true for organic farming: consumers know that there is a different system available and make a choice. The apple example of having a substance that keeps them edible for longer and make them look more appealing, I think if you talked to the industry they would say of course we need it. But don’t they lose some of their nutritional value in this process? That is something we would have to look at more closely. It is not a given. Is it something EFSA would be entitled to look into or not? It is not our primary mandate, which is safety and not efficacy or risk-benefit assessment. But it is a very pertinent question whether in the future more of these risk-benefit questions should come to our table. Maybe the products are safe but the benefits are not obvious. In pharmaceuticals they always have this efficacy assessment. Medicines are tested not only for safety but also for efficacy and quality. In food, as there are no authorisations, we are really sticking to the safety mandate. But we do have a nutrition department in EFSA, which examines nutrition and health claims. Do you think EFSA could expand its role in this direction? Yes, but it depends on society, financing and whether the Council and the Commission want it. Then there is the question of whether this should be done at a European level or a member state level, which is a policy decision. But this question of risk-benefit is becoming more and more important. Have you changed your personal dietary habits, knowing all the pesticides that go into fruits and vegetables and all the additives used in all kinds of food products? I have changed my diet to include more fruits and vegetables because of my personal belief that this is good for my health. It is known from EFSA’s annual pesticide reports that most of the residues are found in fruits like strawberries. So do you take extra care to wash fruits before you eat them, whether strawberries or apples or anything else? I would say I take normal care. I do wash fruit before I eat it, but I did this before I came to EFSA, I think it is normal common sense. If you look into the pesticides report that we recently published, something like 97% of products were below the legal pesticides limits. Some products were above the legal limits, but this does not mean that they are immediately dangerous. It is above a very conservative threshold, but still something has to be done about this small percentage. Yet I think 97% is something we can be very proud of, it is really not bad. Do you eat organic yourself? Yes, but not out of any strong conviction. For example, I buy organic tomatoes in Italy, I try to find bread that has been produced organically, but it is more of a convenience thing, rather than a philosophy. EFSA published its annual report in October on pesticide residues in food, which found a slight increase of food containing pesticides above the accepted safety limit, especially from imports. What can Europe do to ensure imported foods are in line with EU rules? We could do more controls at the point of entry, but the best response would be to work with our partners and raise their food safety standards to the level we want to see. It is obvious that when we do global trade, we also trade risks and hazards globally. But still it is not fully appreciated by everybody. So the safest investment is to collaborate with our partners and bring their food safety standards up to the same level as our own, which the EU does. So we work a lot with China and the South American countries, from the EU perspective, to have comparable food safety standards. Does the EU’s push to speed up international trade agreements with countries like Canada put additional pressure on EFSA to ensure that the food being traded is compliant with EU standards? No, we give technical advice to the Commission during the negotiation phase if they need it. We carry out scientific risk assessments, we do not check food. We do not have laboratories where we test samples – that’s the task of the member states. Personally, I feel very comfortable with Canada. Is there a safety issue with things like hormone beef, which is common in these regions? Well the European Union has some concerns with hormone beef, as we know, and there have been trade agreements on how to deal with hormone beef. But even if we import hormone beef, as long as it is properly labelled and consumers can make a choice, I don’t see the problem. So labelling for you is a guiding principle that could probably help address these kinds of consumer concerns. If it is a real safety concern, we cannot solve it with labelling. You cannot label something with: warning, salmonella inside. That would be stupid. But if it is about the acceptability of certain production methods, like GMOs, then labelling can help consumers to make their choice and that is actually a policy we have in Europe. Food and consumer organisations claim that the European Commission’s draft regulation on acrylamide is based on the wrong regulation: the Hygiene Regulation. They say the correct legal basis is the Regulation on Contaminants, which sets maximum levels for certain contaminants in foodstuffs. What is EFSA’s view on that? That is really a question for the risk managers, which legal basis they have to use to achieve a certain outcome. Personally I would not know between these two, because I have not studied it. I have read about the NGOs’ argument, but it is a question for the European Commission. I think what the Commission wants is to protect public health, to bring acrylamide levels down, following EFSA’s scientific advice, and whether they do this using one legal basis or another, I do not really mind. But in principle, do you agree with the food and consumer organisations saying that acrylamide in food should be reduced? I think we are all in agreement. The Commission and the member states are asking for it. We have produced a scientific opinion saying that there is a concern with acrylamide and the levels should be as low as possible, and the industry has been working on this since the first reports were published in 2002. So there is a common interest in it, there is no argument or ambiguity about it. Views on how to achieve it are a different matter, but we are not involved in this negotiation, we have done our work. Changing the subject, what is EFSA’s position on new plant breeding techniques? Are we talking about an innovation breakthrough or GMOs in disguise? The Commission asked us about two years ago to look at eight different new technologies and we have given a scientific opinion on two of them, on whether they can be assessed with risk-assessment technologies. Our answer was yes, they can be assessed with existing methodologies in the GMO area. Whether they should be subject to GMO regulation or not is a political decision and we should not have a view. But the political decision is informed by science, and this is where EFSA and others can come into play. Yes, and as I said we have given two opinions on the science, but here it is really a societal risk-management decision whether to say, ‘Yes, we want this subject under GMO rules’ – I think the German minister recently asked for that – or whether we say ‘No, the end product is the same as we can achieve with other technologies’. But this is for society to decide, not for scientists. Talking about GMOs, the safety assessments made by EFSA are based on scientific studies provided by the industry, which raises questions about their independence. How can EFSA restore credibility in the scientific assessment process? We are completely independent in the way we carry out risk assessments. We not only look at industry data but at all data available in the scientific literature. There is also a legal requirement for the applicant to provide not only their own data but also a systematic literature review covering the last ten years of scientific publications. So it is regulated studies, mostly following OECD protocols, and then the scientific literature and academic publications. Well it is often the case that academic research asks new questions or raises new issues that are then taken up into the OECD’s testing framework. So there are maybe two different tasks: one is to highlight the progress of research that is then taken up by the regulated science within the OECD framework. Coming back to your question of whether industry should be the one commissioning these studies and producing the data, that is the current legal framework. Not only in Europe but globally. If you want to authorise a GMO, it is your duty to convince the regulator that it is safe. So you have to bring the evidence that allows the assessor to do a risk assessment. You could ask whether this should be paid for by the tax payer. But you could equally say that it is in the economic interest of the company to have their product marketed so they should pay for it, but using external, accredited, controlled laboratories that we trust. And that is the current requirement. The good thing about this is that the independent laboratories are obliged to keep the raw data for a long time, so if there is some statistical uncertainty EFSA can go back and say it wants to look at the raw data and come to its own conclusions. And we do this regularly and arrive at different conclusions. But the fundamental question this raises is the independence of these studies. Can EFSA take a more prominent role in commissioning studies and performing its own studies, using taxpayers’ money? Is that something you believe will become necessary as a way of restoring trust? It could be. Moving away from pesticides to another chemical – Bisphenol A, which is also quite well known – the United States is now carrying out a multi-generational study on this chemical, and it costs about $30 million. That is just one study. So if people now say that EFSA should commission and fund studies on 20 pesticides, ten GMOs and 20 contaminants each year, you can get an idea of what this would mean financially. The one Bisphenol A study cost about $30m, so this is real money we are talking about. Then there is the animal welfare issue. Should we use so many animals to do laboratory studies that the industry has already done? Some people say we should change the system to make industries pay into a pool, and then from this pool, EFSA or other authorities commission the studies. So this is still industry money, the study is only done once, and it is carried out by an independent body like EFSA. That could work, but it needs quite a significant change in the legislation. I am not sure whether the legislators – the European Parliament, the Council – would go for it. But you talked about restoring trust and this might be one way to go about it. In November 2015, EFSA suggested that glyphosate was unlikely to cause cancer in humans and proposed higher limits on the amount of residue of the weedkiller deemed safe for humans to consume. Environmentalists criticise this for ignoring the precautionary principle. What is your view? EFSA worked together with the member states on this peer review of active substances and made a very comprehensive assessment. The rapporteur member state was Germany, the Federal Institute for Risk Assessment (BfR) in Berlin, and they did a very thorough job of the draft report, then EFSA and the other states came in. In the end we came out with an acceptable daily intake of 0.5, and before it had been 0.3. So maybe this is why people cried out that it had been increased. But the increase was extremely small and it was based on evidence. And the increase itself was not the problem. The argument arose because the IARC said this substance was a probable carcinogen. So it was a question of carcinogenicity, not about the acceptable daily intake. This was the big argument: people saw that it was a possible or probable carcinogen and immediately thought that such a substance should not be authorised. But the thing is that the carcinogenicity, if it exists at all, is seen at such levels that you would have to eat the food of 20,000 people every day in order to reach it. And this is unlikely to happen. So do you dismiss calls to ban glyphosate because they are not founded on science? With glyphosate we have seen so many different aspects of the discussion come together. There are people saying we should not have this kind of agriculture in Europe and we should not use it on such a wide basis. That is legitimate, but it is nothing to do with safety. It is about the way we produce agricultural goods. And this is an area where policy-makers have to make the decisions. So to use the safety argument to say glyphosate is a carcinogen that needs to be banned is not relevant. On the other hand, there were many value statements related to glyphosate, which are legitimate – how agriculture should be done in Europe, how many pesticides should be used, biodiversity protection, the structure of farming, the GMO debate because it was a Monsanto product, etc. – all of these elements came together at once. So this was a legitimate discussion, but not on a safety level, because this is not about safety. If you apply glyphosate properly, there is no health concern. That is a big if. Well, the farmers are trained, the labelling is clear. Are checks really carried out on the ground? Obviously you cannot really go and check that each farmer is spraying the product in the correct way. Some won’t wear proper protection, some will spray too much, too close to harvest, etc. and that cannot be regulated. It can be regulated in as much as it is a condition of use. You can’t have a policeman behind farmers at all times. But there are enforcement principles, there are random controls at farm level. The farmers are very well educated, they would not use more than needed because it would cost more. Of course things can go wrong. There is no guarantee that everything will always be done properly, but that is true of everything we do. Do you see precision farming as a way to address this? Still on glyphosate, and to conclude, the use of glyphosate has been extended until the European Chemicals Agency (ECHA) gives its opinion and not later than 31 December 2017. Who will be responsible politically and legally in the event that ECHA says that glyphosate causes cancer? The Commission, the member states, Monsanto or EFSA? It will not be EFSA. It is a highly political decision that can only be taken by risk managers, and there we have a comitology procedure in Europe, which means that the Commission decides along with the member states. As you said, this is a highly political question. But the comitology procedure is not exactly democratic or transparent. Or is it? You have seen with glyphosate that the member states did not follow the recommendations of the Commission. This is democratic, you could say, because the member states represent the European citizens. Should the European Parliament be involved? The Parliament did make recommendations. If I remember correctly, they actually recommended the reauthorisation for seven years, instead of 15 years. So I would not say they were liberal but they did recommend the reauthorisation. Then it turned out to be more difficult than expected in the comitology procedure because the member states either abstained or voted against the reauthorisation. And that, you could say, is very democratic. Still, the transparency is questionable, to say the least. Thinking outside the box, do you have an idea to make these mechanisms more acceptable from a consumer and public opinion perspective? When you are dealing with such complex scientific issues that have an impact on people’s perception of food safety, is there any easy way forward? That is a really difficult question. It is no longer about the accuracy or the truthfulness of science. That is no longer enough. You can have the very best science, state of the art science. There can even be agreement on a global basis, but still it can be unacceptable for society. So there is this interface: when science meets values, ethics, beliefs, religion, even economic interests. This is where it really gets complicated. And there, from my point of view, food becomes a proxy for a much broader discussion on globalisation, big business, multi-national companies, maybe even inequality. And in food many of these issues come together. Discussions on TTIP also focussed on food: chlorine chicken, GMOs… So food is a proxy for a much broader societal discussion, which I would in the end link to the inequality question. How is wealth distributed? From my point of view this also influenced the Brexit referendum and maybe even the US election. People have the feeling that global trade is wonderful and that it creates wealth, but how is that wealth distributed? Coming back to your question on what we could do to make science more accepted by society, there is no silver bullet. 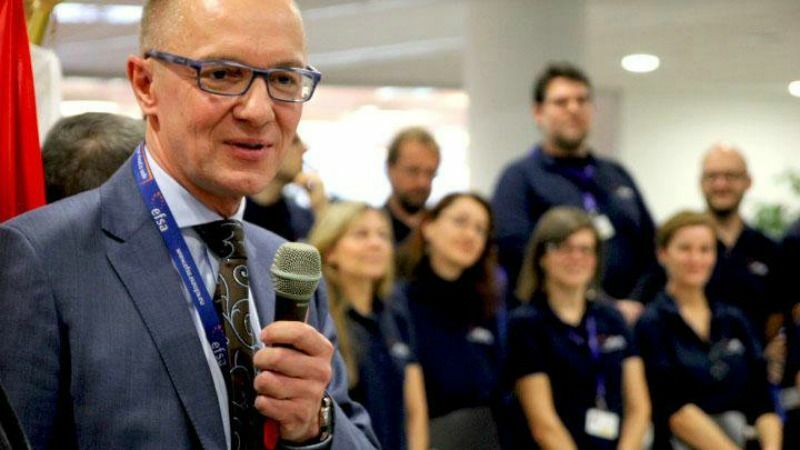 But at EFSA, what we try to do is engage civil society, not only to communicate with them, to tell them what we know in a top-down way, but to reach out to citizens, scientists, academics, and sometimes even to co-produce science. The old model was that we would say we are the ‘elite’ and the ‘experts’, and we will tell you the answer. Now citizen scientists collect large amounts of data, for example about bird movements, about environmental pollution, using smartphones and other technologies. We also have to think about how we can use a broader brain base – crowdsourcing – not only to improve our own opinions but to gain the acceptance of science in society. People now call this the ‘post-truth’ era, so without this acceptance, our job is becoming very difficult. And this goes back to what you alluded to earlier about creating a pool where industry puts in money to allow independent scientists to carry out studies. You mentioned the term independent science and independent scientists. Another discussion we should have in Europe is about how independent science has to be in order to be used in the regulatory framework. Because with the EU research programmes, Horizon 2020 for example, we push scientists to collaborate with industry. You don’t get a research grant without an industry partner. This is a pre-requisite and it feeds into innovation, competition, the Digital Single Market and so on. It is sensible, but then when the scientists that have worked with industry come through the door of EFSA, we tell them ‘Sorry, you are not virgin enough anymore’ because you have worked with industry. So people are confused. On the one hand we drive them to work with industry and then in order to be credible they have to pretend never to have spoken to industry in their life. That is a major contradiction. We need a political consensus to say, ‘Yes we want scientists to work with industry’, but up to a certain level they should be considered independent enough to work on the regulatory framework. At EFSA we have a rather complex system of managing interests and preventing conflicts of interest to address this question, which is not only difficult, but also costs a lot of resources. Is EFSA under-sized for all the tasks it is supposed to perform? Yes. Definitely yes. For everything that is expected, there is no doubt that it is too small. We try to improve our efficiency all the time with machine learning, cognitive computing, any improvements we can make to our processes. But the expectations are much higher. And things fall through the cracks in the end? Not really. The problem is more that we are too slow because we can only do things sequentially. Some people say we should be much faster in dealing with nanotechnology, with chemical mixtures, with endocrine active substances… Yes we understand, thank you very much, but with the resources we have we can only do things at a certain pace and one by one. The answer, if there is one, is collaboration with the member states and on an international level. We can be stronger here and aim for a European risk assessment community, and with global trade we should take a longer view and aim for a global approach to risk assessment. Of course we talk to our colleagues in Japan, Australia, New Zealand, but there is still some way to go. An encouraging piece. Perspective and ideas for improving the system in one article. There is a debate about the role of politicians: should they protect public safety or public preference? Fortunately, in the UK we accept religious tolerance – thank you Elizabeth 1 for getting the ball to start rolling.